Programmers and debuggers, how much of those I didn’t make.. looking at this page when it’s finished, more then suspected. Some of them used one or twices for a special project or because it was working crappy. 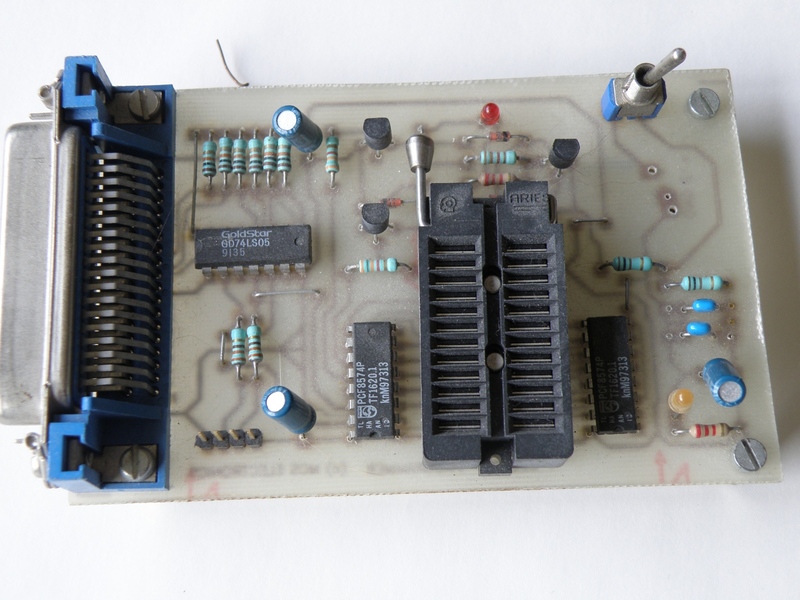 Develop and programmer for the AT89Cx051 series. 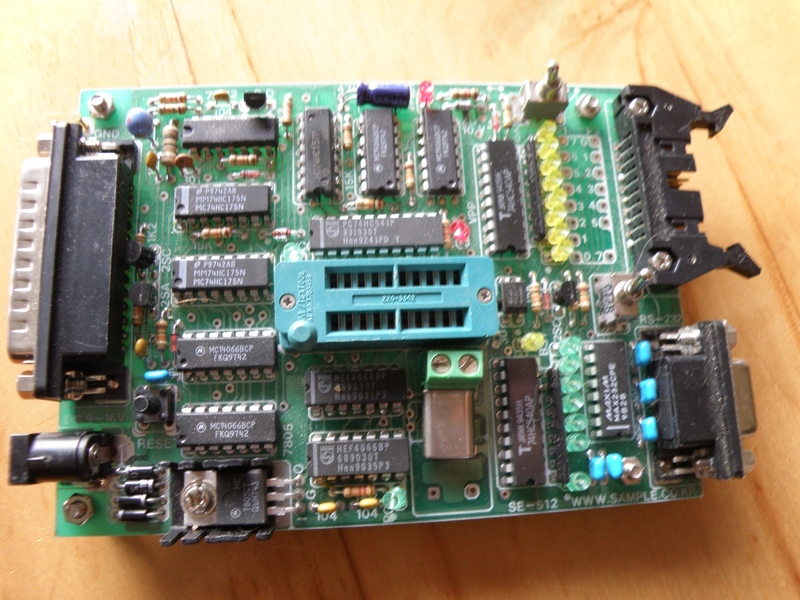 Programmed maybe 5 chips with it before I switched to the Avr series. 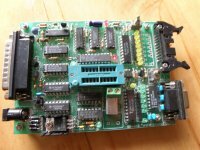 My first AT89Cx051 series programmer. With this you could only program the mcu, so debugging was a lot of work. 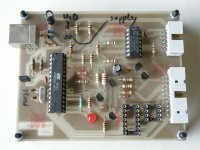 Take the chip out the pcb, put it in the programmer, program it, back to the pcb…. and again. For the avr serie’s an usb high voltage programmer. Used it one or twice, running the usb stack on a Mega8 was sloooow. Not handy to use for development.